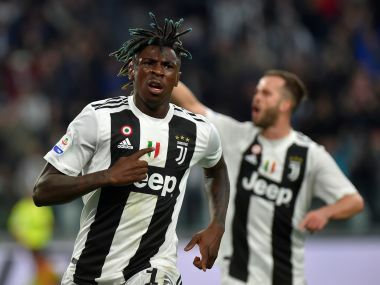 Milan: Champions Juventus's Serie A game was snowed off on Sunday as Lazio moved third with a 3-0 win over Sassuolo at the expense of AS Roma who were beaten 2-0 by AC Milan. 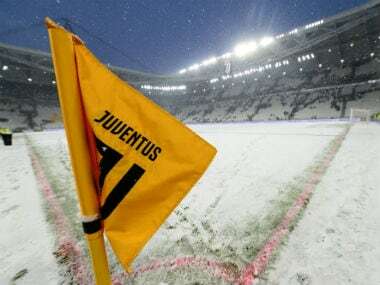 Juventus are a point behind leaders Napoli, who play Cagliari in Sardinia on Monday, and had been looking to move top against Atalanta in Turin but for blizzard-like conditions which saw five centimetres of snow pile up before kick-off. "It's possible to play in these conditions, but it would not be a spectacle worthy of the top flight. There is also the issue of potential harm to the players," said Juventus director Beppe Marotta. Ciro Immobile and Sergej Milinkovic-Savic continued their goal-scoring sprees to lift Lazio into third, as Patrick Cutrone and Davide Calabria gave AC Milan their first win in the Stadio Olimpico in six years. Roma – who had been on a three-match Serie A winning streak – slipped to fifth behind Inter Milan who beat bottom side Benevento 2-0 on Saturday, with AC Milan just outside the European places in seventh. "Obviously it's a wake-up call," said Roma coach Eusebio Di Francesco, of the defeat which came just days after throwing away a lead to lose 2-1 to Shakhtar Donetsk in the Champions League. "We cannot be happy with this result, nor our season overall. We completely lost our way after the first goal." Cutrone broke through after the break, with defender Calabria adding the second after 74 minutes. Milan goalkeeper Gianluigi Donnarumma – celebrating his 19th birthday – did well to parry an early Cengiz Under strike, and also cleared a close range Patrik Schick effort over the bar. "It's an important win, one that will make a difference," said Cutrone, crediting coach Gennaro Gattuso with transforming the team. "We are really united now and proving we are a great team. The coach really cares about the squad and we've come together under him." AC Milan play Lazio in the Stadio Olympico in the Italian Cup semi-final on Wednesday before next weekend's derby against Inter Milan. Gattuso's side are also through to the Europa League round of 16 where they meet English side Arsenal. Earlier Lazio and Sassuolo finished a bad-tempered clash with 10 men with in-form Serb Milinkovic-Savic scoring a brace to bring his tally to 11 goals this season. Lazio doubled their lead amid controversy, with a penalty awarded following consultation with the video assistant referee (VAR) after the ball struck Federico Peluso's hand. Immobile stepped up to slot home after half an hour to give him six goals in Lazio's last three games – 32 this season and a league leading 23 in Serie A. The 28-year-old scored a double last week to get Lazio back to winning ways after a three-match losing streak, and hit a hat-trick in a 5-1 rout of Steaua Bucharest in Europa League action on Thursday. "I'm sure he'll win the Golden Boot, he deserves it for how he works every day," said coach Simone Inzaghi of Immobile. "The important thing is that we continue to perform like today. "We had played three games in a week, now we have three more. We have little time to recover, but when you have goals (the) fatigue in your head disappears faster." 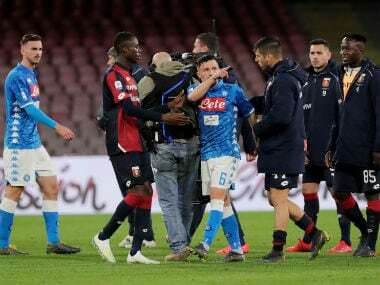 Both sides played the final half an hour with 10 men as tempers flared with Domenico Berardi and Adam Marusic both shown straight red cards after consultation with the VAR. Berardi was sent off for a bad tackle on Stefan Radu while Marusic saw red for elbowing Brazilian defender Rogerio. Sassuolo are now just three points above the relegation zone. Elsewhere, Sampdoria continued their push for Europe with a 2-1 win over Udinese to stay sixth, equal on 44 points with AC Milan. Fiorentina got their second win in two months with 1-0 win over Chievo, while Verona ended their three-match losing streak 2-1 at home to Torino. 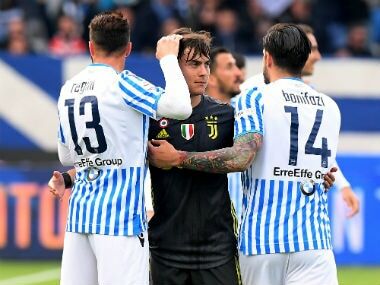 In the battle against relegation, SPAL snatched a 3-2 win at Crotone to close the gap between the pair to one point.